Description: Generational Theory describes the different value systems and world views of different generations, defined by the era person was growing up in. These value system and world view differences play themselves out in our interaction, communication and engagement with others. Once we understand our own, and then other people’s value system and world view, we are better able to create healthy connections with them. There are many ways to segment people. We’ve been doing it for centuries. We profile people by personality, gender, culture, academic qualification….. the list is as long as it is diverse. This presentation on Generational Theory explores different generations and the correlation between value systems and age groups. Whether you’re a Baby Boomer, Generation X or a Millenial, there are important things we can, and must learn from each other. 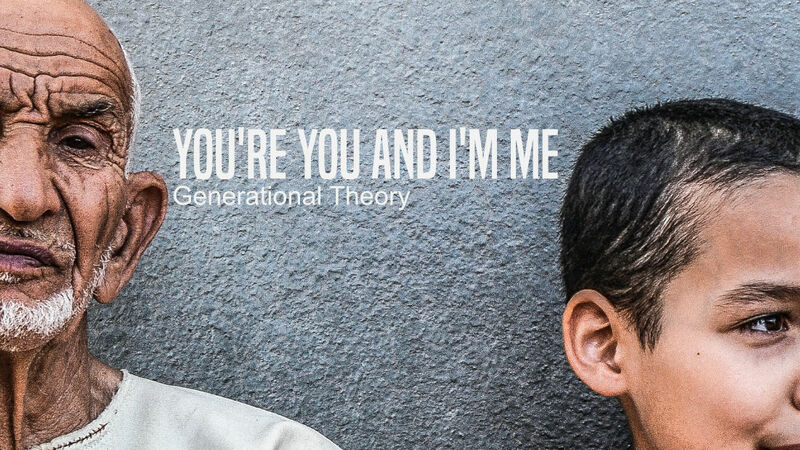 You’re You and I’m Me is a highly edutaining presentation that not only invites people to identify their own generational grouping, but also leaves people with a framework to better understand those around them in order to ensure better connections. A framework that will add value to their communication, management, leadership, and marketing style and understanding. There is no doubt that Generational Theory has a role to play in better understanding the differences between people. I have yet to come across an audience that has been left disappointed by either the content or the delivery of this presentation. Generational Theory isn’t an ‘uber’ framework to replace all other frameworks we have with regards to people. However, it’s an important framework to assist us in understanding how our generational differences impact our interaction and engagement. It’s as important as understanding personality, gender, religious, and cultural differences. It’s a great resource to add to our continued understanding of the people we work with. It’s a guaranteed winner in any forum. Barrie is available to talk to around the outcomes of your conference, and where diaries permit he’s willing to come into your office for a cup of coffee and conversation (especially if you’re Gauteng based). Click here for contact information. Embedded below is the presentation refresher. You can click through the refresher by using the ‘play’ icon at the bottom of the refresher window.